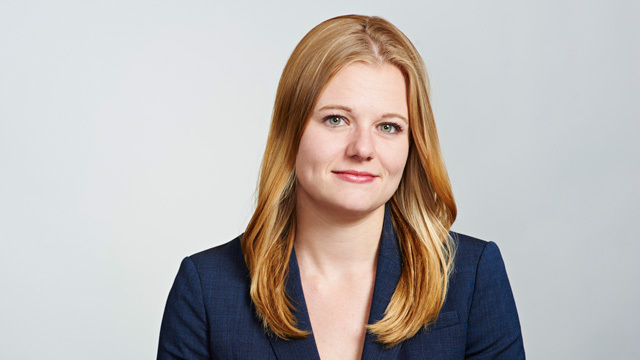 Allison MacIsaac is a labour and employment lawyer at Hicks Morley’s Toronto office. She provides advice and representation to both private and public sector employers and management on a wide range of labour and employment issues including human rights and accommodation, labour disputes, grievance arbitrations, wrongful dismissals, employment standards and employment contracts. While in law school, Allison served as a senior caseworker with the Osgoode Business Clinic. Allison was an active member of the Osgoode Mooting Society and participated in multiple advocacy competitions, including the Arnup Cup and the Mathews, Dinsdale & Clark Labour Arbitration Moot, where she was a national finalist. Allison also received the Beard Winter Prize for the highest standing in Trial Advocacy, and the Goodmans LLP and the Charles Edward Woodrow Awards for academic excellence and extracurricular involvement. Prior to law school, Allison graduated with a Bachelor of Arts in Political Science and Economics from McGill University, where she directed a non-profit organization for special needs children. Successful motion to dismiss an action bought by an employee of a technology company, seeking damages for defamation, misrepresentation of fact, abuse of authority, abuse of process, negligent investigation, loss of employment opportunities, loss of reputation, subsequent loss of income, and constructive dismissal, for improper service and for failure to disclose a reasonable cause of action. Successfully argued that the “residential management rights” theory applies at the Ontario Labour Relations Board. Successfully argued before the Social Security Tribunal, Appeals Division that employees on lockout are not entitled to Employment Insurance benefits.